or the past 13 years Umlazi Grace AME Church has been a small worship station under St. Francis Chapel, Chesterville with branches in Umlazi, Claremont and Lamontville. The stations have always had active and dedicated members with a great vision of one day being stand-alone congregation that can support their own Pastor. With a huge number of the congregation being unemployed, it was always going to be difficult to see this dream being realised, even though the site had already been secured. It was their burning spirit and desire that kept the light of their vision burning throughout the many challenges they have faced. They drew strength from one another, conducting services every Sunday, which were often held at Church member’s homes. Over this period the Church grew from strength to strength, both in numbers and spiritually. It was then that their combined efforts drew them to a conclusion of actively searching for a stable venue that could accommodate all members. Over the years while the Congregation was waiting for their Church to be built, several places have been used by the Church for Sunday services including Naleni High at V section in uMlazi, Sekelani Senior Primary at N section in uMlazi and Ndongeni Senior Primary at M section in uMlazi. But due to a legislation that was passed which stated that schools could no longer be used as venues for conducting Church Services, the congregation no longer had a venue for Worship. At this period, the land which had already been secured for building was also lost to an informal settlement with community members allocating themselves sites and building on the land. It was then that the Church decided to go back to St. Francis until a stable venue was found. From 2001 to date, the Church has been using Zandile Junior Primary school which was secured through the combined efforts of Br. Mncwango, Sr. Pauline Dladla, Sr. Felicia Salemane and Mr. Dladla. uMlazi Temple has always shown stability, dedication and commitment, which led to the Natal Annual Conference, with Bishop J.L. 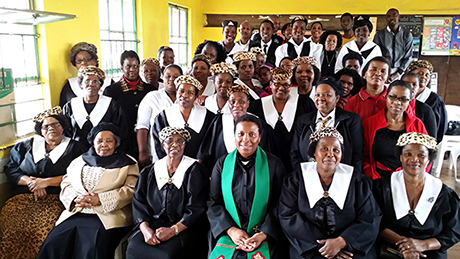 Davis, Presiding passing a resolution recommended by St Francis Chapel and the Durban District to award Umlazi Grace AME the status of a charge. The current pastor, Rev. N.N.A. Matyumza, has played a pivotal role in building Umlazi Grace AME and the role the Church plays in the community of Umlazi Township. During her tenure, she has focused on Leadership Development, spiritual formation discipleship and social action. New Auxiliaries, Sons of Allen (SOA) and Charlotte Maxeke Ladies Fellowship (CMF) have been introduced. This has since led to the Church meeting its operational obligations and securing a Church site, purchasing the necessary equipment and supporting the school where we worship. 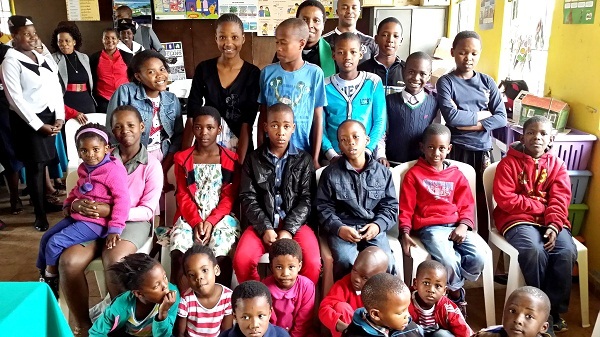 Community outreach programmes supporting, amongst others, an Old Age Home, Zandile Primary School and Halfway House which has a place for the mentally impaired.